Get in touch with nature at Valley of the Winds and Uluru-Kata Tjuta Cultural Centre. 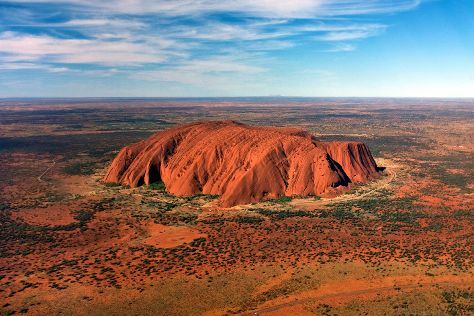 There's lots more to do: take in the dramatic natural features at Kata Tjuta, hike along Kuniya Walk, make a trip to Uluru, and explore the activities along Mutitjulu Waterhole. To see reviews, ratings, and more tourist information, use the Uluru-Kata Tjuta National Park itinerary builder app . In March in Uluru-Kata Tjuta National Park, expect temperatures between 41°C during the day and 24°C at night. On the 9th (Sat), wrap the sightseeing up by early afternoon so you can travel to Alice Springs. 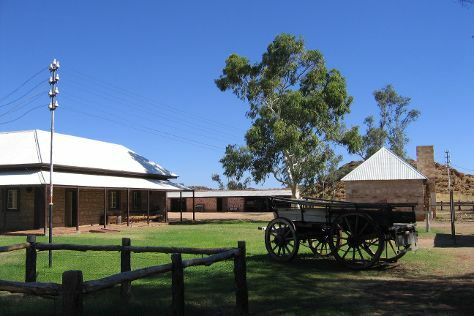 Kick off your visit on the 10th (Sun): examine the collection at The Residency, then take some stellar pictures from Anzac Hill, then steep yourself in history at Alice Springs Telegraph Station Historical Reserve, and finally look for all kinds of wild species at Wildlife Areas. Keep things going the next day: get engrossed in the history at Alice Springs School of the Air Visitor Centre, then look for all kinds of wild species at The Kangaroo Sanctuary, and then look for all kinds of wild species at Alice Springs Desert Park. To see where to stay, traveler tips, other places to visit, and tourist information, use the Alice Springs trip planning website . You can do a combination of flight and taxi from Uluru-Kata Tjuta National Park to Alice Springs in 2 hours. Alternatively, you can drive. Traveling from Uluru-Kata Tjuta National Park in March, Alice Springs is little chillier at night with lows of 21°C. Wrap up your sightseeing by early afternoon on the 12th (Tue) to allow time for travel back home.